As we all are aware of elections happening around the country, and as usual we’re going refresh some facts and updates about the same, let us talk about it one by one. BJP though performed far better than expected. Congress CM Harish Rawat has accepted defeat. The BJP built from strength to strength as the results continued to come in through the day. As counting progressed, a bitter battle with the Congress became a roaring landslide. The contest was expected to be close, but the BJP scored 57 seats in the 70-member Assembly to the Congress’s 11. The Congress has made a resounding comeback in Punjab, winning a solid 77 seats in the 117-seat Assembly. Anti-incumbency may have helped the party notch up its big score. The AAP won less than it was expected to. Still, its 20 seats on debut do make it the second largest party in the Punjab Assembly. 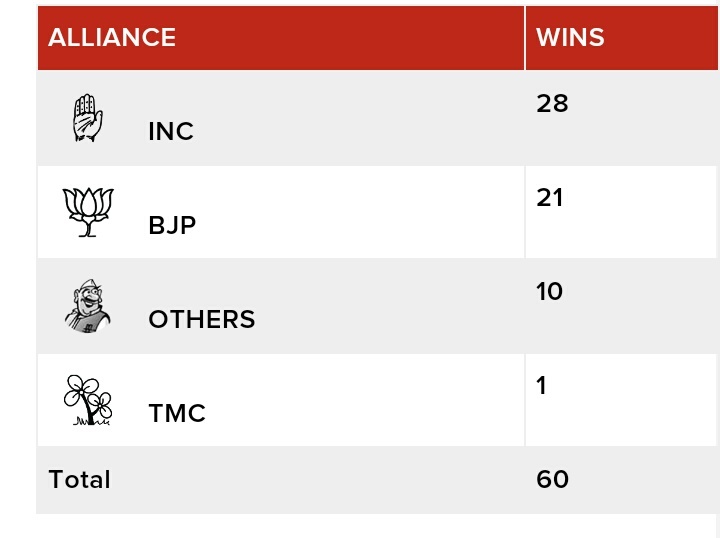 The SAD-BJP alliance – expected to be reduced to single digits – fared the worst, with 18 seats. It’s a hung assembly in Goa. Congress and BJP need the support of MGP and Goa Forward Party to form government in the state. 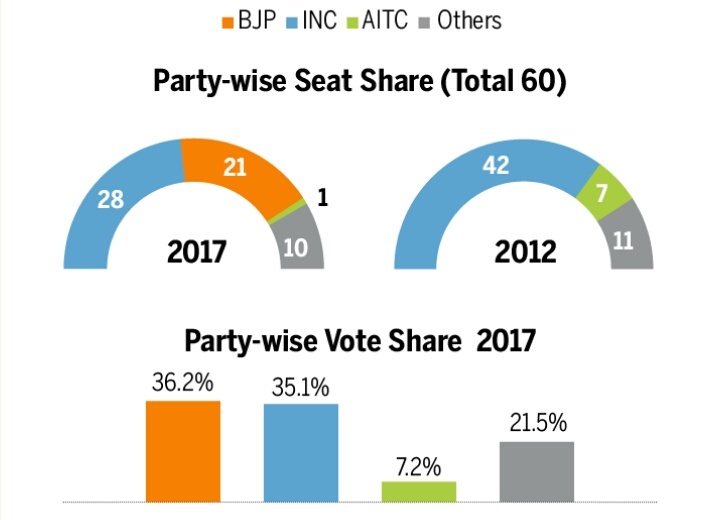 BJP has 13 seats and Congress is just one short of winning majority with 17 seats. The tightest of all the Assembly state election battles, Manipur went down to the wire, with the Congress winning 28 seats to the BJP’s 21. The result however is bound to remain sweet for the BJP which has created a toehold for itself in the state, where it has not been a big force till now. Akhilesh Yadav submitted his resignation to Governor Ram Naik. BJP emerged victorious in Uttar Pradesh by a resounding margin – call it the ‘Modi wave’ or the ‘saffron wave’ . The result mirrors the 2014 Lok Sabha battle. The BJP along with its alliances has won 324 seats out of 403 in the state assembly, the biggest majority for any party in Uttar Pradesh since 1980. The results are very encouraging for the party, Both Uttar Pradesh and Uttarakhand have given almost three-quarters of votes to BJP. This is the biggest win of a party since the division of these two states. Amit Shah informed to the media that the party workers will welcome PM Modi tomorrow at 6pm and then will decide on leadership in states that BJP has won. As Bhartiya Janta Party surged ahead in Uttar Pradesh, the spotlight shifted to who will take the top job in the country’s most populous state. The current Union Minister, Rajnath Singh who held the helms of BJP in 2002 is being considered the top contender in the UP CM’s race. MP from Ghazibad, he campaigned extensively during the elections. Well, these are the assumptions we’ve made through some researches, let’s see what happens. However, now the ball is in the BJP’s court and lets wish that they got something better for us. Previous articleDo you know the difference between Civil and Criminal Administration of Justice?